According to the latest UP Board news, UP Board Makes Aadhaar Card Mandatory along with admit card for the students of Class 10 & 12. 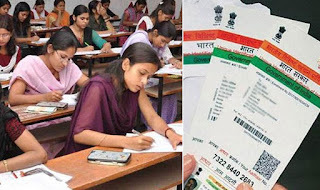 Uttar Pradesh Secondary Education Board has decided that Aadhar card is now compulsory for students who are ready to join the board examinations. So, candidates who are now going to fill the UP Board Application form, they have to enter their Aadhar Card number. 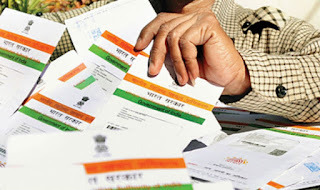 It is believed that this will reduce the filling of fake forms. 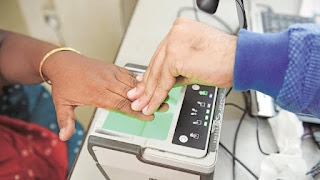 Students of class 10th as well as 12th are only eligible to reach the UP Board exam centre if they have their Aadhaar card otherwise they will not be permitted to appear in examination hall at any cost/ condition. If in the case if any student fails to carry their Aadhaar cards abut they have UP Board Admit Card then UP Board exam authority will not be allowed them to sit for the exams or to enter in the examination hall. So, must carry your Aadhaar Card at the time of examination as from now onwards it is compulsory. Aadhaar is also needed when the students register for their board examinations, said by Yogi Adityanath government. As expectation, a total of 3712508 students are expected to appear for class 10 exams; on the other hand in class 12, it is about 3017032. In all, 6729540 students will sit for the exams. The number of candidates has increased from last year. In 2017, total 3.40 lakh students appeared from class 10, while for class 12, as many as 2654492 students registered for the exam. Government of India has taken various steps time to time for the benefits of individuals. Earlier, the Chief Minister Yogi Adityanath has issued a Whatsapp number, through which the complaints could be made during the examination. Now at present Aadhaar card is mandatory not only for class 10th /12th candidates but also for registration in various competitive exams including JEE, NEET. In the year of 1921, the Board was set up in Allahabad by the act of United Provinces Legislative Council. In the year of 1923, it was conducted the first examination. The Uttar Pradesh state government administered autonomous examining authority is the Board of High School and Intermediate Education Uttar Pradesh, for the class 10 examination and class 12 examinations. Team of www.privatejobshub.in provides all the updated news time to time on this single web page but now you can get details about UP Board Makes Aadhaar Card Mandatory from here. So, visitors are advised to bookmark this page to get entire details from here. You may also join us on face book/ Google plus to get direct updated information on their timeline.